Rapper Snoop Dogg dominated the music scene in the 90’s with his highly charged tracks and tantric collaboration with fellow henchman Dr. Dre. Now at 40, Dogg is still as salaciously appetizing as he was back in the Gin and Juice days just a lot more fine tuned and stoned, as if that were possible! Reincarnated, the new film from Vice Films in association with Snoopadelic Flms was conceived by Snoop’s desire to document the making of his new album that bears the same title while gloriously “tripping” in the wilds of Jamaica. Vice co-founder Suroosh Alvi noted how challenging it was to remain sedate during filming due to the immense supply of weed available and the voracious speed of consumption by all who dared. It is no secret that the magic plant has played a huge part in sealing the destiny of some of the most influential figures of the past and present. So it only makes sense that Snoop Dogg follow suit and from the looks of things, he is ready to concur a genre that he has dabbled in but never quite conquered. The charismatic entertainer was passionately involved in the production process, not only was he the sole financial investor, but he was able to solicit help from the likes of George Lucas, who generously cut him a deal on the sound design. It looks like all the hard work and “inhaling” payed off. Reincarnated wowed the crowds at the Toronto Film Festival and is attracting the attention of major distributors. There is even Oscar talk surrounding the newly minted project. From the gangster slums of South Central to Hollywood glory, maybe life really does begin at 40! 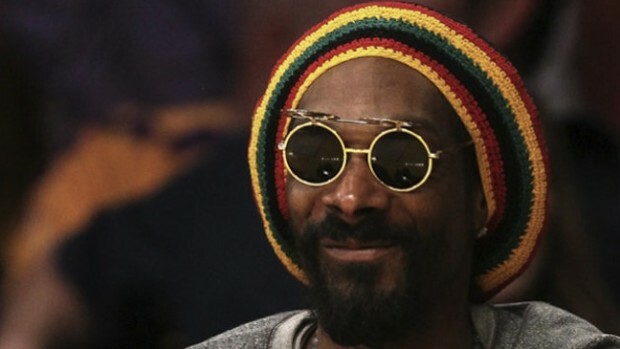 For more on Snoop’s Jamaican Rebirth, click here.